New Orleans bartender Joseph Santini is credited with one of the early attempts to artfully add citrus to spirit and sweetener, occurring sometime in the mid 1800s. 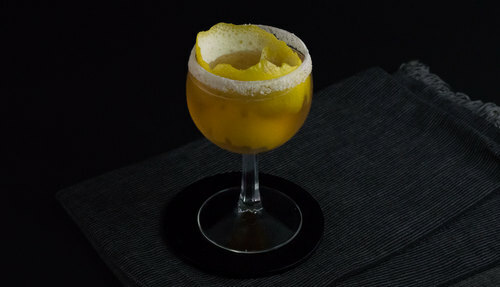 The result of this innovation was the Brandy Crusta: possibly the founding member of the sours family of cocktails, which some historians have dubbed the grandfather of the Sidecar. To aptly crown such a remarkable beverage, a distinctive garnish composed of sugared rim and prominent lemon peel is a required companion. 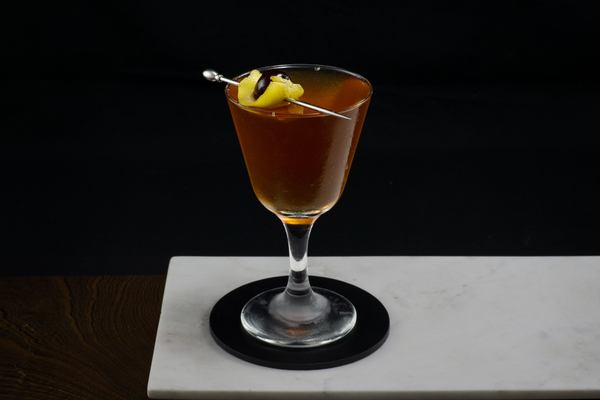 When occasion calls for a brandy based classic and presentation is a priority, the crusta is at the top of the list. Time has brought many variations on this recipe, allowing for easy tailoring to suit one’s taste. Classic recipes—including the first put to print in Jerry Thomas’s 1862 How to Mix Drinks—contain a substantial dose of brandy with minimal citrus and sweetener. Around the end of the 1800s, the substitution of maraschino liqueur for simple syrup became the fashion. 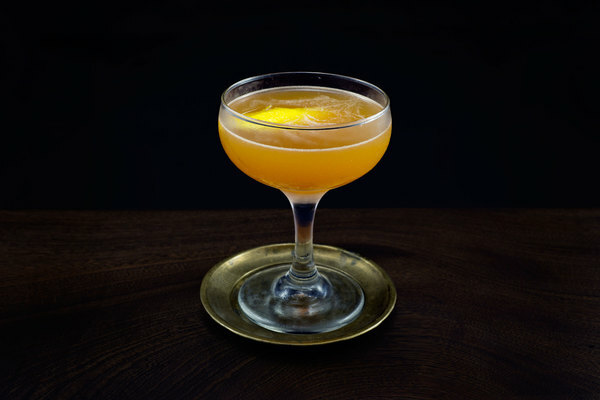 More contemporary interpretations often up the dose of lemon juice, though we find the result all too indistinguishable from other sours, particularly the sidecar. Instead, we prefer the larger dose of brandy found in the classics; it produces a crusta with flavor unique enough to stand out from its descendants . The recipe presented here, which was plucked from Mr. Boston, yields a bouquet full of lemon and bitters, almost floral and perfumey from citrus oil and cognac. 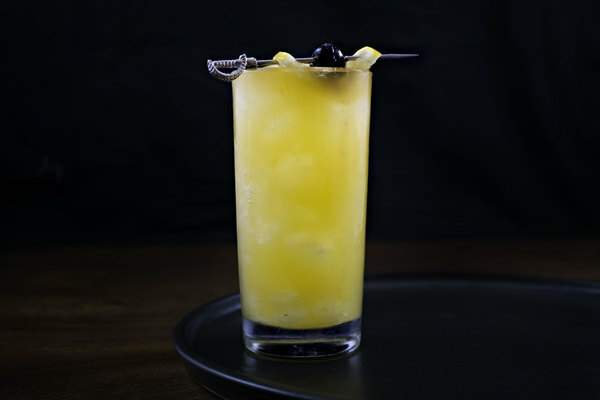 The sip is juicy and herbal from the citrus and maraschino, with a very dry backbone from the brandy. Because brandy is the centerpiece, using a good brandy or cognac is a good idea. Creating the signature lemon peel glass liner requires using the shell of half a lemon. The sugared rim can be a bit fussy. To create an evenly crusted coating, two tricks have proven successful. First, line the lip of the glass with lemon juice before dipping in sugar. Second, try to use superfine sugar if possible. Superfine sugar (also caster sugar or baker’s sugar) can be found in most baking aisles, or alternatively, can be made at home by exposing your common granulated sugar to a few pulses in a coffee grinder or food processor.